Bien sûr une étude animale, mais une de plus qui milite pour un emploi précoce du plasma lyophylisé. 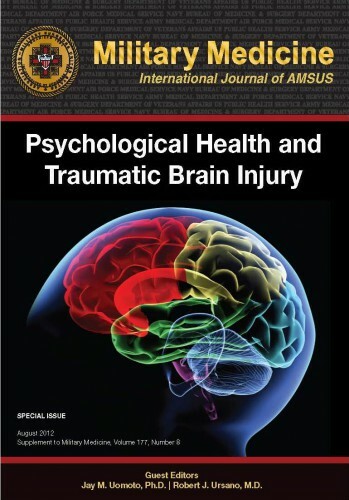 BACKGROUND: Combination of traumatic brain injury (TBI) and hemorrhagic shock (HS) can result in significant morbidity and mortality. We have previously shown that early administration of fresh frozen plasma (FFP) in a large animal model of TBI and HS reduces the size of the brain lesion as well as the associated edema. However, FFP is a perishable product that is not well suited for use in the austere prehospital settings. In this study, we tested whether a shelf-stable, low-volume, lyophilized plasma (LSP) product was as effective as FFP. Yorkshire swine (42-50 kg) were instrumented to measure hemodynamic parameters, intracranial pressure, and brain tissue oxygenation. A prototype, computerized, cortical impact device was used to create TBI through a 20-mm craniotomy: 15-mm cylindrical tipimpactor at 4 m/s velocity, 100-millisecond dwell time, and 12-mm penetration depth. Volume-controlled hemorrhage was induced(40-45% total blood volume) concurrent with the TBI. After 2 hours of shock, animals were treated with (1) normal saline (NS, n = 5), (2) FFP (n = 5), and (3) LSP (n = 5). The volume of FFP and LSP matched the shed blood volume, whereas NS was 3 times the volume. Six hours after resuscitation, brains were sectioned and stained with TTC (2, 3, 5-Triphenyltetrazolium chloride), and lesion size (mm3) and swelling (percent change in volume compared with the contralateral, uninjured side) were measured. 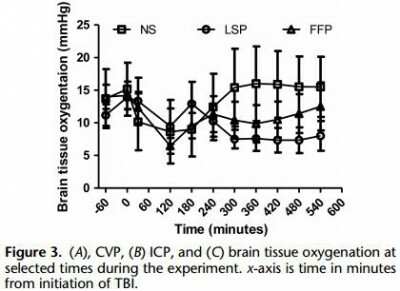 This protocol resulted in a highly reproducible brain injury, with clinically relevant changes in blood pressure, cardiac output, tissue hypoperfusion, intracranial pressure, and brain tissue oxygenation. Compared with NS, treatment with LSP significantly ( p G 0.05) decreased brain lesion size and swelling (51% and 54%, respectively). CONCLUSION: In a clinically realistic combined TBI + HS model, early administration of plasma products decreases brain lesion size and edema. 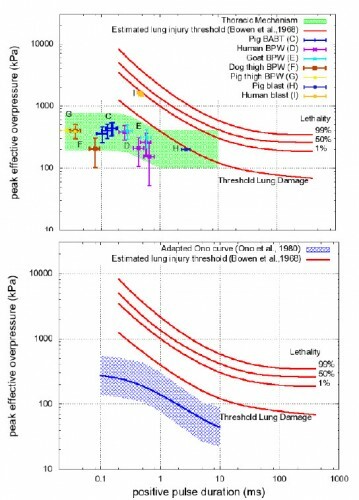 LSP is as effective as FFP, while offering many logistic advantages.